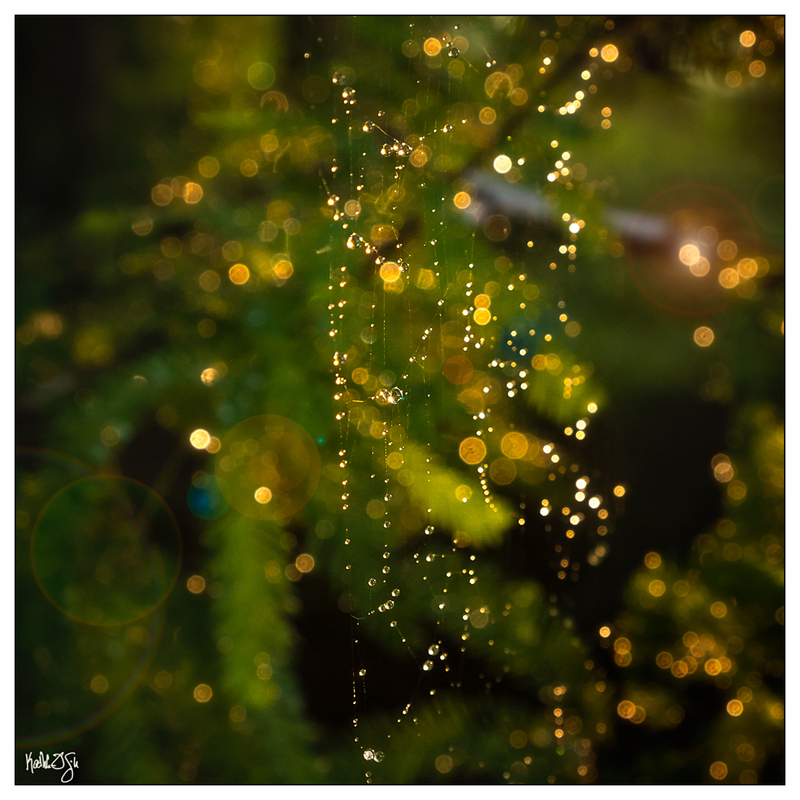 I found a dewy spider’s web, hidden and protected under the boughs of a tree and softly back-lit by the rising sun. I was surprised – captivated by the pageantry. Here’s the thing, though. I often struggle with what I know, the science of things. Science has its purpose, of course, and I’ve made my living in that world, but it tends to take the wonder away, shining a harsh light, callously dissecting and categorizing nature. Looking at this fresh dew, I try to focus on its clean sparkle, its wetness, its perfect roundness. Dew is visually stunning and any thoughts of dew point or surface tension kill the joy. The same goes for the cypress tree that protects this spider’s web and that is clothed in the morning dew. It is delicate, lushly green and stately. The tree has a scientific name – Taxodium distichum. With all due respect to Linnaeus and his nomenclature, how about something more poetic or memorable, or perhaps no name at all? Redfish Hole is not exactly what it seems. 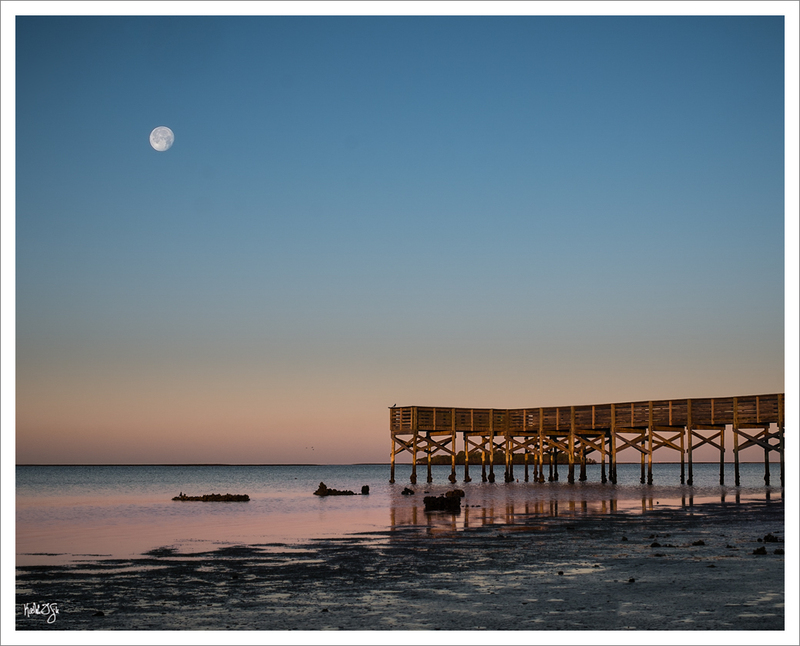 Yes, it is a popular fishing spots for locals, but it is really about so much more than fish. 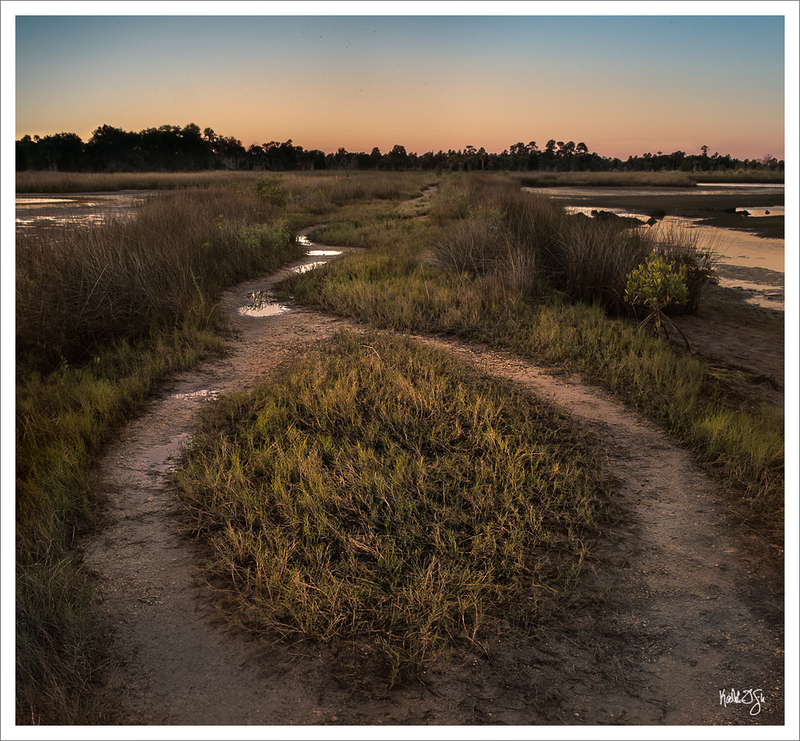 Due to a natural ridge that extends far out into the marshes, the Hole offers one the rare opportunity to wander through everything from scrubby flatwoods to tidal salt marshes, and to experience close up and in all seasons the remarkable details of those communities. On a recent visit, I was taken by the pluck of the little mangrove seedling on the right, valiantly trying to reestablish a forest along this coast.